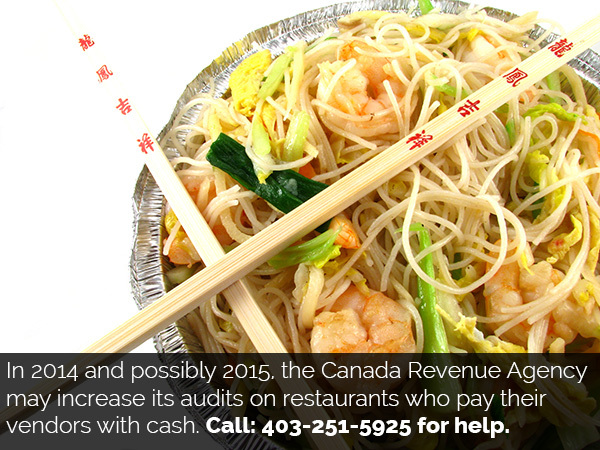 The CRA currently has a project focusing on cash driven restaurants particularly those in the Asian community. Those restaurants that pay cash for their supplies and food product are at an even higher risk of being selected for an audit. If you are a restaurant owner who is being audited or are concerned that you might be selected for an audit please call us ASAP for your Free Confidential Consultation.